CNA certification requirements are the standards that must be met to become a nursing assistant. CNA’s are professionals who assist patients with the activities of every day life, including eating, dressing and walking, checking for bedsores and helping with toilet needs and bathing. CNA’s can work in a hospital, nursing home or private home setting. The requirements for becoming a CNA can vary from state to state. In most cases, an individual must complete a minimum of 75 hours of state approved training to meet federal requirements. CNA training can be accomplished through a medical facility, Community College or your local Red Cross chapter. The first step in earning the CNA certification is locating a program in your area and taking the necessary classes. After you have completed the necessary amount of classroom instruction, most states will require that you take a competency exam. If your prospective employer receives compensation from Medicare then there will also be federal standards that you will have to meet for certification. 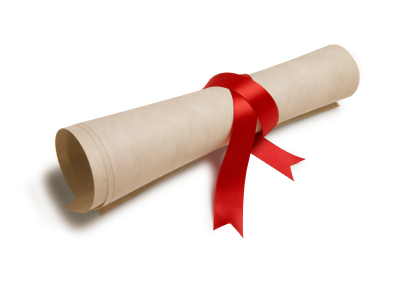 Once you have completed the CNA certification requirements you can be put on your state registry of nurses and aides. CNA certification training includes instruction in various areas which are necessary for the job. This includes anatomy and physiology and nutrition to give you a better understanding of how the body works and what it requires in terms of proper nutrition. Courses on body mechanics and infection control can help to further acclimate you to proper biological signs and how to protect yourself and your patient from illness. A very important part of training is learning about client rights. As a CNA you will be working very closely with your patients and it is crucial that you understand their personal needs, security, and the best methods for maintaining their dignity at all times. Being a CNA is about much more than just meeting CNA certification requirements, it is about ensuring the patient’s sense of security as well as helping to maintain their health. Along with completing state and federally mandate training and passing the required exams, earning a CNA certification also requires you to have a physical exam yourself. Since a common part of the CNA’s job is lifting patients in and out of beds, tubs or wheelchairs, there is a certain amount of physical fitness that is necessary. It is also important to determine that you don’t suffer from any communicable diseases. In general, it is not very difficult to earn the CNA certification, but education and physical fitness are really only a small fraction of the job requirements. The biggest asset for any prospective CNA is the proper attitude. In order to be successful, you must go into the job ready to provide service and accept anything that comes your way in the process. This can be far more critical than meeting the CNA certification requirements. It is not easy, but if done correctly being a CNA can be so much more than just a job. The ability to help those in need and offer the most basic of service in what can sometimes be the most stressful of circumstances is truly a calling. If you have the patience, compassion and care to take on this work, you can reap rewards well beyond any paycheck. Consider earning your CNA certification today. You won’t regret it. With a Certified Nursing Assistant Certification, what type of CNA Wages can you expect?